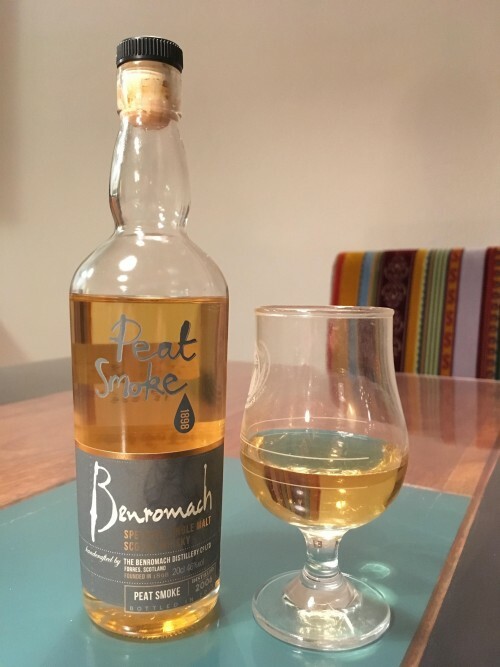 This edition of Benromach “Peat Smoke” was distilled in 2006, matured exclusively in ex-Bourbon barrels and bottled in 2015. The barley used was peated at 67ppm. My review is based on a 20cl bottle from a taster pack that includes the regular 10-year old, “Organic” and “Peat Smoke”. The nose is very malty to begin with. Smoke is present but is quite delicate, campfire style, and comes with notes of smoked ham. Then the fruity flavours kick in: lemons, oranges, and apricots. Towards the end there is a strong earthy note. Clearly, the peat smoke is cast in a supporting role here and far from dominating. The palate is medium-bodied and sweeter than the nose: the apricot and lemon flavours are more intense and come together with notes of apples and a hint of coffee. Quite malty and woody. Smoke is there but continues to be subdued. The finish is of medium length. The smoke has turned into ashes, and some lemon and apple flavours last to the end. I am a self-confessed Benromach fan and had been looking forward to trying this for a while. I think this one is a bit stuck in the middle: neither does it aspire to be a distinctly peaty whisky, nor does it want to be limited to pure Bourbon cask maturation, and in my view the end product is not fully convincing. 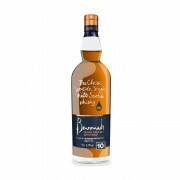 Still, it was good to taste this and I look forward to the day when Benromach put out another markedly peated whisky.